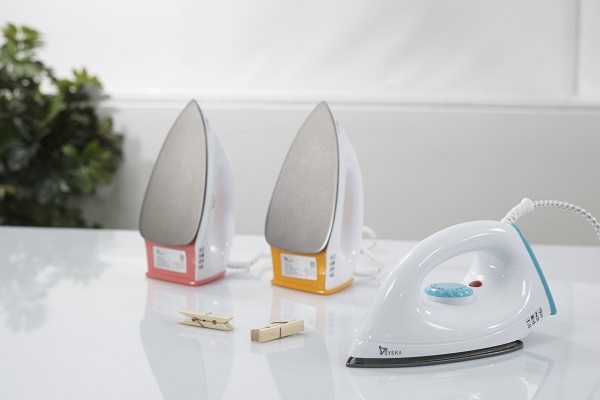 The range of Syska steam irons comes with a coating of either Ceramic or Teflon. Syska Turbo Steam Irons is a collection of Ceramic Soleplate irons. The ceramic-coating ensures even heat-distribution. It does not generate static at even high temperatures. The iron is easy to clean, scratch-resistant and glides like a dream. Syska Mist Steam Irons comes with a Teflon coated Soleplate. A Teflon coating makes the soleplate smooth, so you can iron with ease. Plus, since Teflon doesn't stain easily, it is simple to clean and maintain. All you need to do is wipe the soleplate when it's cool. Use a mild dish-wash detergent diluted in warm water. Since it is not an ordinary flat iron and comes with holes and grooves, you will need to use a Q-tip to loosen grime. 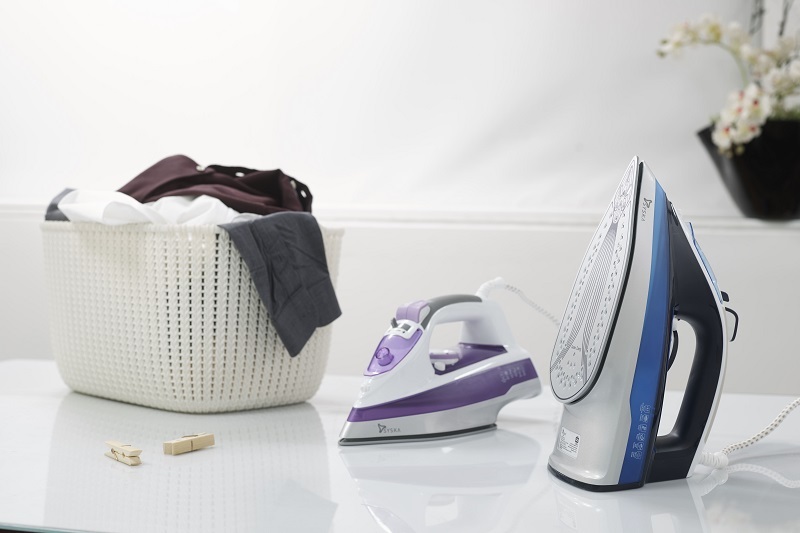 Syska steam irons come with unique functions – that allow you to adjust the settings depending on the fabric you're ironing. 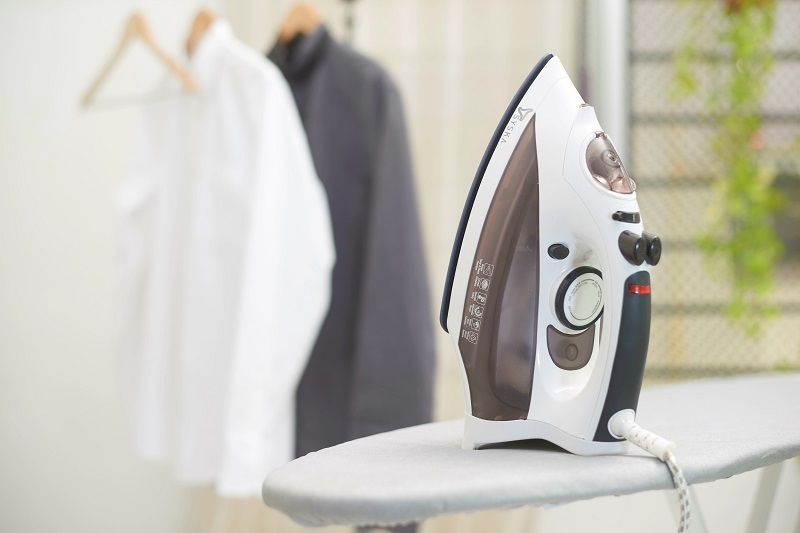 When a regular steam iron is set to a very low temperature, it is unable to produce steam, in which case, the holes in the soleplate spit out water. Its only remedy is to increase the temperature – but a high temperature isn’t suitable for all kinds of fabrics. Syska steam irons have found a way around this dilemma with an anti-drip feature. In this case, if the set temperature is insufficient to produce steam, the water supply gets cut off automatically to avoid dripping. What could be better than an iron that works vertically, especially when you don’t have an ironing board at hand? Loosen out light wrinkles from your clothes as they hang, or simply smoothen out the drapes with the vertical steam system. This feature is meant to tackle those stubborn creases that just won’t go and need an extra burst of moisture. You can iron any fabric without any worries, so just pull out your iron board and get going. With a range of 1250 W to 2200 W, the Syska steam irons are powerful yet safe for domestic use. Like every modern electric iron, they come with an in-built thermostat that regulates heat distribution and prevents overheating. Keep your fabrics and your home secure. Your convenience and comfort matters, which is why we offer more than just the basic features. Syska steam irons come in a variety of colors – pick the one that suits your style. Syska steam irons are self-cleaning, which means lesser work for you. Besides, the irons are made of sturdy and light-weight materials! Syska believes in customer satisfaction at it’s best. Every Syska iron comes with a protected warranty valid up to 2 years from the date of purchase. An ordinary garment steamer may be lighter to carry and easier to use but if you're looking for a perfect, crisp look that will seal the deal, nothing compares to a steam iron. As a matter of fact, Syska's variety of steam irons includes the 2000 W Syska Mist and 2200 W Syska Turbo. So, the next time you have a meeting to attend or a party to throw, you know who to turn to – Syska! Syska Look effortlessly classy with ..